Not exactly the first Jew to be involved in white supremacist organizations. The narrator celebrates this Harold guy for ripping off kids but he's literally the devil for donating to a White Nationalist group, wtf? I would be interested in finding out why so many prominent neo-nazis, alt righters etc. have jewish ancestry. An Assistant U.S. Attorney, Thomas M. Bauer, told the Washington Post that in a 1985 weapons case against a member of the Ku Klux Klan, Grand Dragon Dale R. Reusch, von Braunhut was prepared to testify that he had lent Reusch about $12,000 so he could buy 83 firearms. 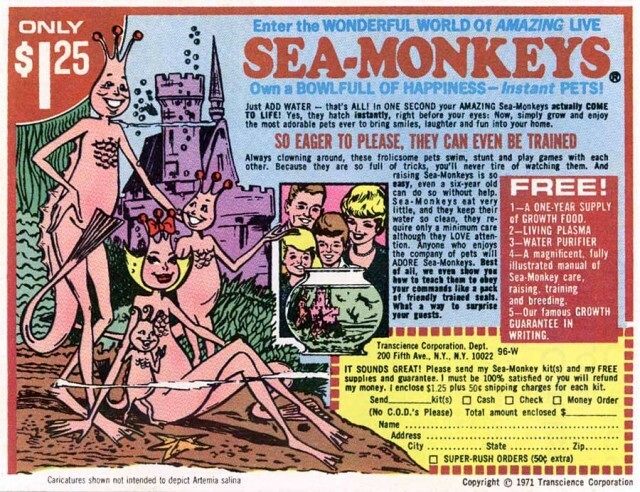 Bauer told the reporter that von Braunhut was “very pleasant and cooperative” and “brought some of his little toys along,” including Sea-Monkeys. The general Aryan Nations view holds that Jewish people are directly descended from the devil. It seems clear that von Braunhut, who owned Nazi memorabilia and once said Hitler “just got bad press,” signed on to these beliefs. But one has to wonder what brought him to the point of nodding along when his friend Butler, for instance, described Jews as “the bacillus of the decomposition of our society.” Aryan Nations members might have been dismayed to hear that von Braunhut engaged a law firm called Friedman and Goodman early in his career. They might also have been puzzled that his name was listed on early patents as Harold N. Braunhut. The middle initial stands for Nathan. Harold von Braunhut was born and raised Jewish. It’s not entirely clear why the Aryan Nations didn’t cast von Braunhut out after the Washington Post gave a thorough account of his Jewish origins in 1988. Von Braunhut said, “I will not make any statements whatsoever” on the topic when questioned for the article, then stopped returning calls. The article also reported that he was born in Manhattan and that he gave an address in (heavily Jewish) Brighton Beach, Brooklyn, when he briefly attended Columbia University. He lived in New York City into the mid-’80s. The Post reported that a Harold Braunhut paid for the upkeep of his parents’ graves at a Jewish cemetery in Long Island in 1979. Which is hard to square with the fact that von Braunhut was helping a Klansman buy 83 guns in 1980 at the latest. Perhaps the Aryan Nations allowed von Braunhut to stay in the fold because Butler liked having a wealthy backer, as Floyd Cochran, a former spokesman of the group who later renounced it, has said. Von Braunhut made a lot of money from all those whimsical inventions that kept America laughing. (07-17-2018 12:20 PM)jho Wrote: Weird video. Yep, long before they were mentioning that he supported 'Neo-Nazis' I was wondering if he was Jewish. A business with no shame, 100% supported by marketing. Yep. That's what happened to the Dutch Jews, and many American Jews. The Jews were kicked out of Spain for trying to deconvert the Marranos. They're terrified of this loss of identity, but are perfectly happy when other ethnicities lose theirs. What do you think that means? Do you think it is saying that there are no jews any more? 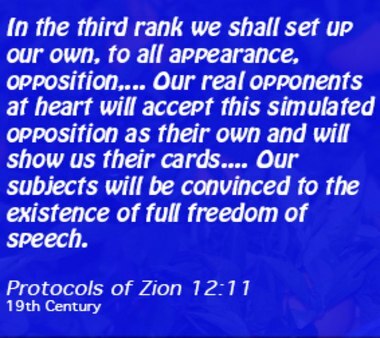 A lot of ethnic Jews, that are not religious/devout, who will make a point of mentioning that they are Jewish, but really they are Kabbalists/of the Synagogue of Satan.